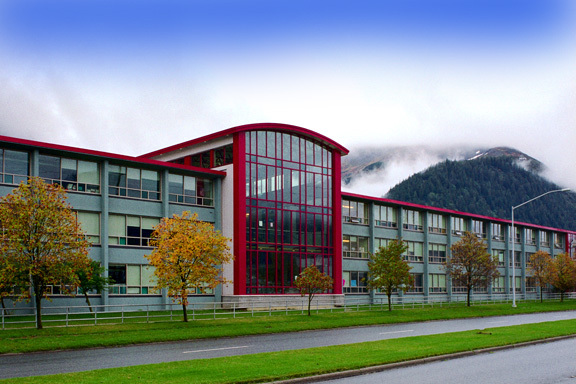 The Juneau-Douglas High School renovation project totaled 210,000 SF of renovated space. 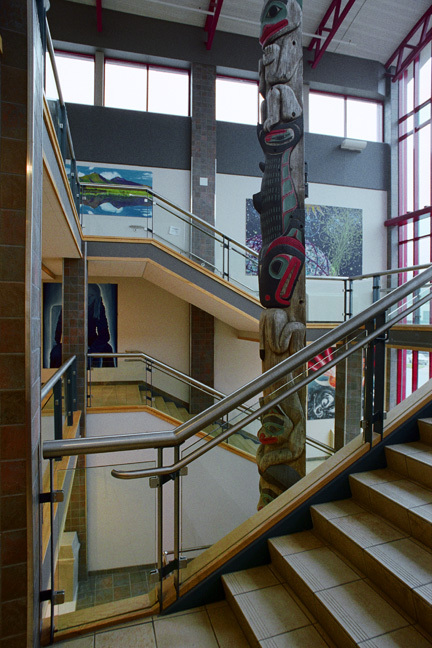 Central to the reconstruction is a new two-level atrium space extending the full width of the reconstructed school facility. 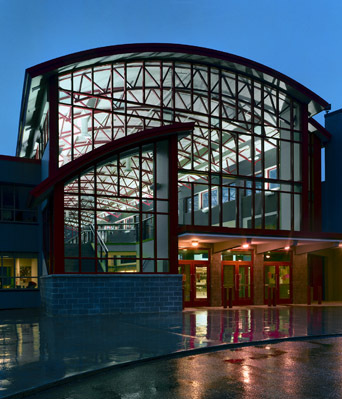 This bold step, requiring significant demolition and new construction, provides a clear center and organization to the school, linking all three levels to the center. The atrium incorporates glazing to provide a profusion of daylight in the previously dark facility. 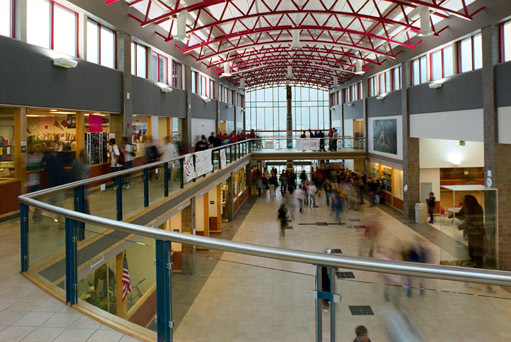 New administration and counseling areas, and a new entry to the library, flank the atrium for easy access and an improved sense of school “community”. The renovation includes electrical, mechanical, structural upgrades, ADA and building code upgrades, and general improvements to finishes and access. All of the laboratory spaces were substantially rebuilt to new teaching standards. The project also includes extensive new digital technology, including a fiber optics computer network, IP phone system, and building automation system. Efforts were made to incorporate student art building-wide, instilling a greater sense of student ownership and pride.